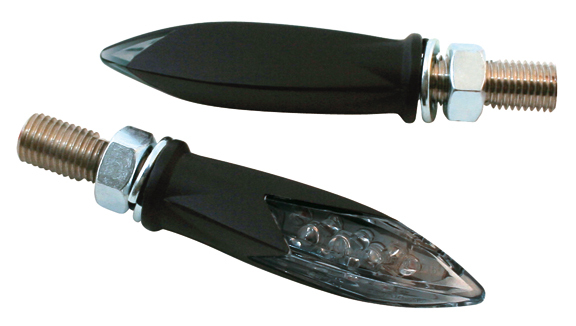 3D Torpedo motorcycle LED turn signals can be replacements for the stock Harley turn signals and can be installed on any chopper, bobber and most custom motorcycles. 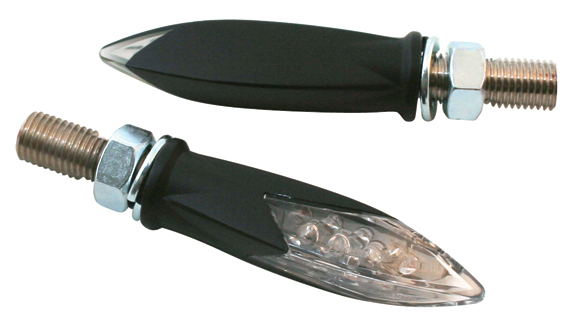 These motorcycle LED turn signals have pure flowing lines, feature a new innovative design and look great combined with our Cyclops Custom Motorcycle Headlight.. Black motorcycle blinkers are available for customers that prefer the “dark look”. They feature clear LED bulbs, which turn amber when you activate them. 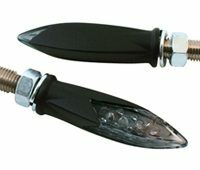 These motorcycle LED turn signals are available with clear or smoked lenses, fit inside 10mm mounting holes and can be used as front or rear blinkers. 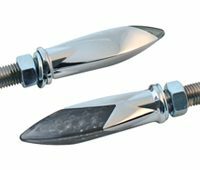 Dimensions: 2.45″x 0.70″x 0.90″. Sold in pairs. do they come with red led’s? 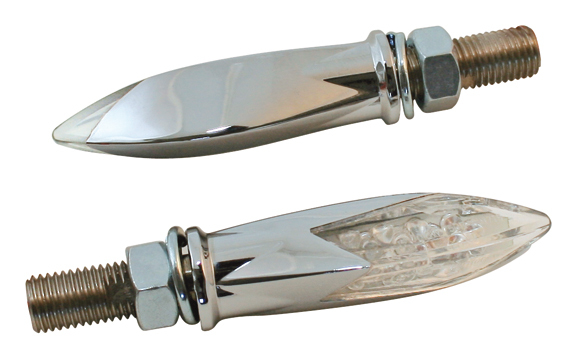 Thank you for your interest in Eurocomponents’ motorcycle turn signals. 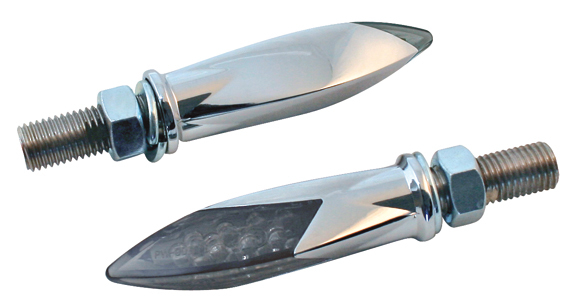 Sorry, but all of our motorcycle LED turn signals come only with amber bulbs. – What are they made of? 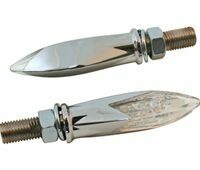 – Doe wires exit thru mounting bolt? – Is mounting bolt removable? – 2 or 3 wires (running lights)? Thank you for your interest in Eurocomponents’ motorcycle LED turn signals. Lenses are made of plastic, housings are made of steel. Do wires exit thru mounting bolt? 2 or 3 wires (running lights)? Our LED turn signals have 2 wires. They can be used only as turn signals, not running lights. You can order directly from us. We ship to Europe via USPS Priority Mail, which is very reliable and fairly reasonable in price.